Need was a fantastic book, and one that I think is highly underrated. You don’t hear enough about this series as you should. This was most definitely a refreshing change. Jones takes on pixies, a creature I haven’t read much of, or at all, actually, before I read this book. If you're a fan of faeries, then you should definitely try out Need and see how you like pixies! Zara was my favorite character. She took charge of her life, and made decisions for herself. She really didn’t need anyone to come save her. Actually, she saves herself. And everyone knows that we don't need another 'damsel in distress', which made Zara totally awesome and likable. The plot itself was great, full of twists and turns, and constantly moving, but not too overdone. It was in perfect balance the entire time, just as all the characters were. But my favorite aspect of this novel was the progression of Zara and Nick’s relationship. It was REALISTIC, which is really the only thing I ask for in a paranormal novel. Give me that, and it’s instantly a good book in my book. They didn't instantly jump and fall in love with each other, even if there was an initial strong attraction. 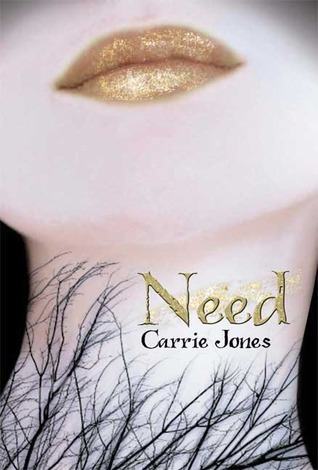 It's a relatively quick book, so if you looking for an awesome paranormal romance with lots of action and suspense, pick up Need! I give it 4 out of 5 stars. I agree! I picked this series up a while ago and just loved it for the same reasons you mentioned. I've been devouring her contemporary YA as well, and I found Girl, Hero to be especially good. I've been wanting to read this series. I'll have to check them out now. I love the covers! I am SO glad that I'm not the only one who thinks this is an underrated series! I have yet to read the other books, but I loved this one so much. I have this book sitting on my shelf just waiting patiently to be read, and now I am bumping it up to the top of my TBR list! Great review. Im a new follower and I love your blog already! You write thoughtful, complete reviews. You will be seeing me around here a lot im sure. I LOVE the covers of these books. Even if I had no idea what the books were about, I'd still buy them just to have the pretty series on my shelf! That is, if I had the money. I haven't yet read any books about fairies/pixies, though I have 4 or 5 different series on my TBR list. Wicked Lovely and Need are my top two. I have to get to these soon.